Have you ever come across a pattern that has an exquisite and unique stitch pattern but you aren’t completely in love with the color combination? Have you found patterns that are done all in one color but you know it will look even more fabulous in several colors? Have you ever thought, I love that scarf but I’d want mine to be blue? If so, then go for it. 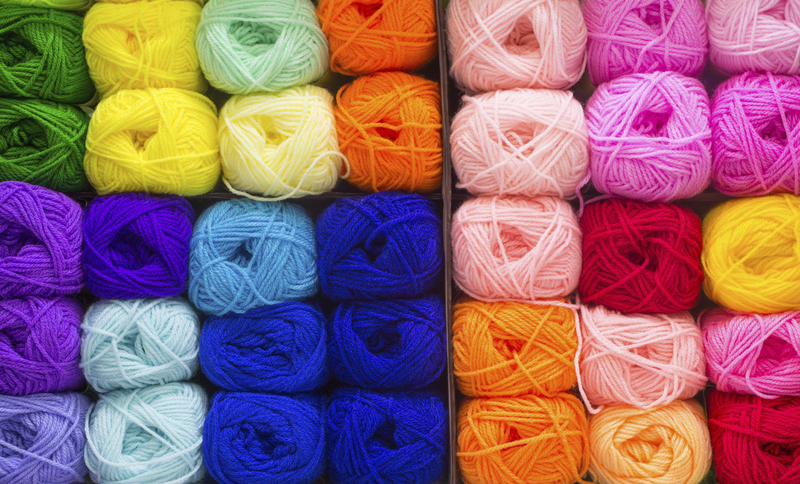 One of the great things about crochet is that you can control what colors, and even how many colors you use in any pattern. You may not realize that patterns are created with just the stitches in mind. Colors are up to the individual making it. You may decide that you love the color, or colors that the original designer used and that’s great, feel free to make your design exactly the same, but feel free to mix it up too. Do whatever YOU love. One of the greatest things about crochet is that you can make each finished piece as unique to yourself as possible. 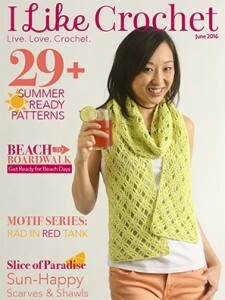 For example, I designed the sand dollar throw for the April issue to be reminiscent of the beach. Perhaps these are not the colors that come to your mind when you think of the beach, or maybe you don’t want yours to be beach themed at all. Maybe you want it to match your living room décor, or you want to make it as a gift for your friend in her favorite colors. Don’t be afraid to change the color of these squares, or any pattern you see. You can even change up the amount of stripes in the rounds. Maybe you’d even like to make these squares in all one color, or just two colors. There is no right or wrong. Some people have trouble coming up with color combinations in their designs and these pointers should help you out when choosing colors for your own finished pieces. You can find colors that complement each other and pair them up, or you can use contrasting colors that really make each other pop. You can choose different shades of colors all in the same family and pair them up in a pattern sequence where each color seamlessly flows into one another. You can trick the eye, so to speak, and make it seem as if each color is intended to be used in that manner. Sometimes a neutral paired with a bright color really adds visual interest, or maybe you’d like your pattern to be made in all neutrals or all brights. If you have a difficult time seeing specific colors together in your mind, a color wheel is a great tool. You can see how colors pair up together and how gradient they are in the color spectrum. This gives you an idea on whether or not teal will go great with a pink, or even a purple giving you a pop in color. You can also see how well colors blend from one to another so that you can choose which colors to go with for that awesome afghan that will look great with flowing colors. It’s also a helpful tool for figuring out what bright colors look best with which neutral colors. You can even just randomly pick your favorite colors and work them into the same piece. There is no right or wrong in crochet, just creativity. Let your creative juices flow and have fun!